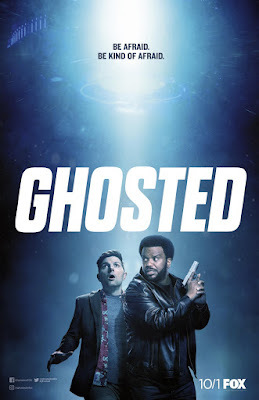 Pilot: There was an unexpected charm about this odd, paranormal sitcom that came through throughout its 22-minutes pilot and that could be attributed to comedic duo of Adam Scott and Craig Robinson. Introductions are sped by, backstories paddled through and paranormal science accepted as facts, but yet the jokes are solid, the humour steady and not juvenile. 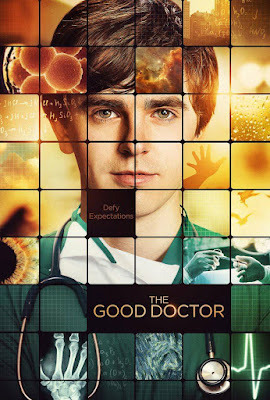 How the series will carry on is still yet to be determined, but Scott and Robinson makes this an easy entry to watch. 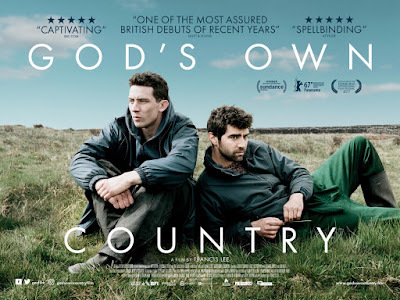 An unabashed tearjerker that (mostly) eschewed the typical cliches and tropes of the genre to focus on a strong emotional core that carried the film to cathartic resolution, showcasing a strong and haunting, lived-in performance by Jake Gyllenhaal and a great (and validating) post-Orphan Black turn by Tatiana Maslany. Gyllenhaal might be in the running for a Best Actor nod. Director David Gorden Green's film ran for almost 2 hours but it did not feel that long. 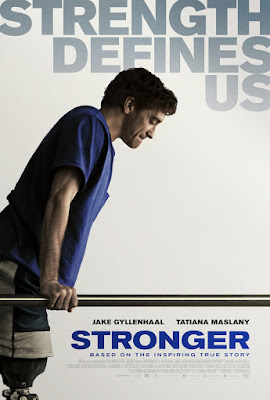 He and writer John Poliono had smartly chosen to have the Boston marathon bombing happen within the first 15 minutes, and with that inciting moment out of the way, Green could focus on the emotional journey of Gyllenhaal's Jeff Bauman. And not only Bauman's journey but also that of the people around him, particularly Maslany's Erin Hurley (his now ex-wife) and his mum, played by a fabulous Miranda Richardson. 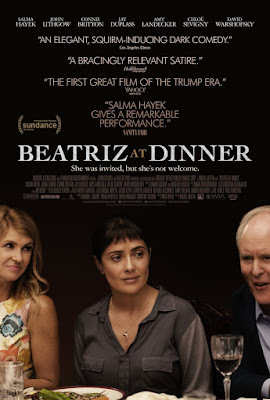 Give Salma Hayek an Oscar nomination! She gave a multi-layered and nuanced performance in an otherwise good-but-not-spectacular film that had a great concept but not the cajones to flesh it - and Hayek's character - out beyond pop-eco/psycho babble. John Lithgow capably and excitingly volleyed with Hayek, but the rest of the ace cast filled their roles ably but with less overall purpose. "Carnage" still sets the benchmark for dining table drama; "August: Orange County" would be a slightly distant second. Mike White's script lacked bite. It had humour both dark and squirm-worthy, and light and breezy, but nothing actually said that was not pop knowledge and the arguments on either side regarding white-privilege, environmentalism, class divide, compassion and empathy were only superficially explored. It seemed as if White and director Miguel Arteta were afraid to antagonise or vilify Hollywood and/or their producers. 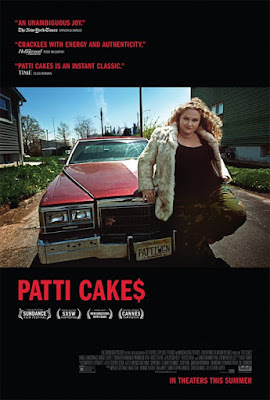 A fun and charming crowd-pleaser that was surprisingly touching even though it was an utterly predictable, underdog-triumphs-against-life-predicaments sort of film that ticked all the usual tropes, and it was due to the sincerity of writer/director Geremy Jasper and the endearing, and breakout star, Danielle Macdonald. The film would have benefitted from a tighter edit and cutting its runtime by about 10 mins. Nonetheless, it was still an easy digest and the extra minutes did help to further inform the characters, although it did not add too much to the main narrative nor the emotional catharsis sought by Jasper in the final act. 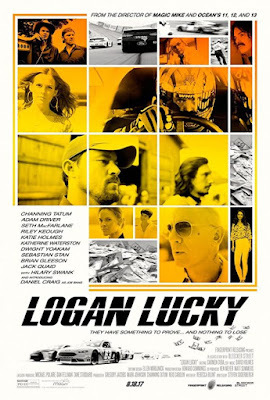 A fun and frothy, summer-popcorn Tom Cruise film that was one of his better recent outings and will surely entertain the masses. 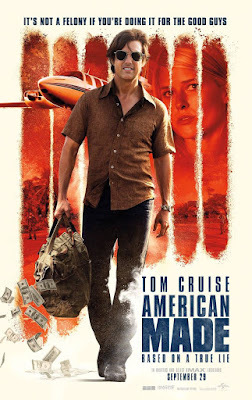 However, for all of director Doug Liman's kinetically-charged and docu-like storytelling, and Cruise's high-energy performance and undeniable charm, this film lacked depth and only superficially glossed through the incredible true story of Barry Seal. For those looking for more complex characters and deeper narratives regarding the Medellin Cartel, drug smuggling and money laundering, you would be better off tuning in to Netflix's "Narcos" and "The Ozarks". The film was consistently and constantly fun. Gary Spinelli's script was easy and breezy and littered with references to 80s pop culture. 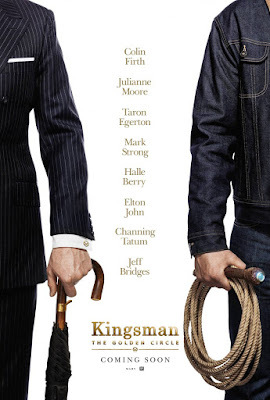 Cruise and Domhnall Gleeson also had the best quips which kept the story light. 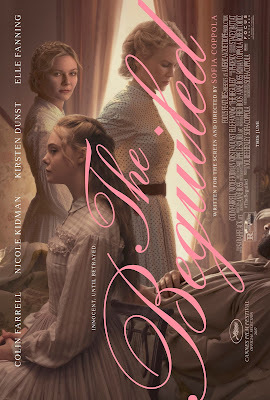 A polarising and confronting film that on the surface appeared like a "Rosemary's Baby"-esque psychological, horror thriller, but on a deeper level, it can be construed both as a religious allegory and a socio-political commentary. This was a technically superb film-making from writer/director Darren Aronofsky that constantly challenges, deliberately confronts and purposely confuses; beautifully shot by Matthew Libatique throughout and Aronofsky and Jóhann Jóhannsson's unique decision to abandon all musical cues only served to highlight the unsettling unease. 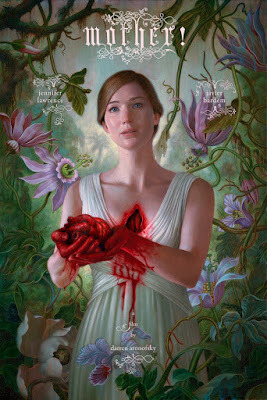 Jennifer Lawrence anchored the film with another captivating and award-worthy performance. Michelle Pfeiffer was a spot-on casting and Javier Bardem's choice of portrayal took a bit of getting used to, but made a lot of sense on hindsight. 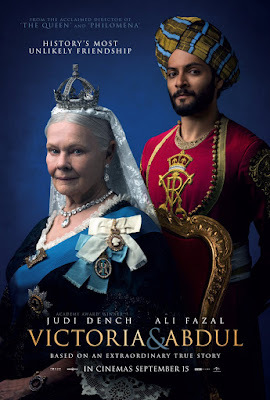 A light and frothy, historical comedy of errors that was elevated by a fabulous performance from Judi Dench. Just like his previous film "Florence Foster Jenkins", Stephen Frears' latest was entertaining and fun with a superb lead actress that mined the depth of a superficial characterisation to give an illusion of prestige and complexity. Agreeably, Frears and Holland brought a little known bit of history to the forefront, but as much literary licence as one affords to such productions, we did not really learn much about Victoria. The main conflict derived from a relatively forced and generic class war, rather than on a personal or emotional front. 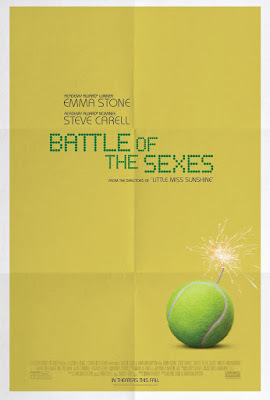 Essentially, the story lacked bite and the 106 minutes run time was filled with gorgeous sets, witty English one-liners and put downs. Disclaimer: Let's be clear about this upfront. I am a fan of the original 1990 miniseries. 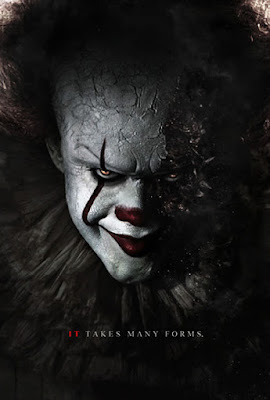 I had watched it at least four to five times, and unashamedly, TIm Curry's Pennywise is the personification of all my childhood - and adult-life - fear. I HATE clowns. Consequently, comparisons will be inevitable. The only thing that this film served up in the end was a desire to get some tulips for home. That was how distracted my mind was as I sat through 107 minutes of badly written dialogue, poorly conceived characters, unfocused directing, chemistry-less romance and narration; yes, let-me-tell-you-what-is-happening-and-what-will-be-happening-as-it-unfolds narration. From the get go, we were introduced to a clunky introduction. 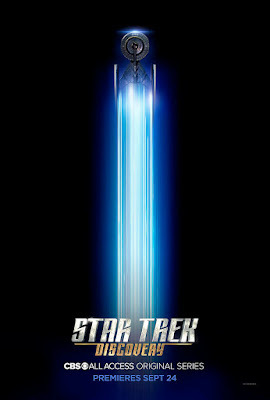 If just based on the words themselves, by writers Tom Shepard and Deborah Moggach (also author of the book the film is based on), it would have been an impactful and mysterious prologue, but director Justin Chadwick chose to underscore that with heavy-handed, hit-you-on-the-head-with-a-sledge-hammer imageries, such that within the first minute or so, practically the whole plot is known. It was all downhill from there.